Between the launch of Sputnik on 4 October 1957 and 1 January 2008, approximately 4600 launches have placed some 6000 satellites into orbit, of which about 400 are travelling beyond geostationary orbit or on interplanetary trajectories. Today, it is estimated that only 800 satellites are operational - roughly 45 percent of these are both in LEO and GEO. 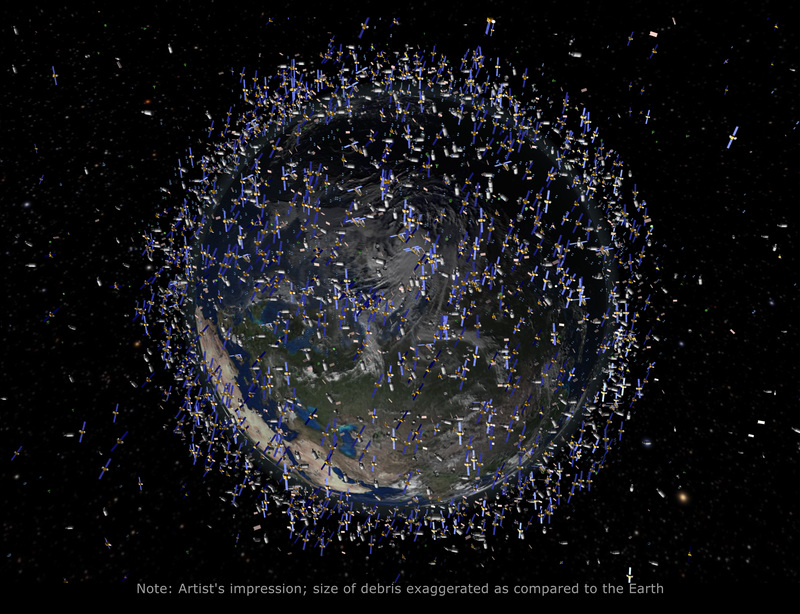 Space debris comprise the ever-increasing amount of inactive space hardware in orbit around the Earth as well as fragments of spacecraft that have broken up, exploded or otherwise become abandoned. About 50 percent of all trackable objects are due to in-orbit explosion events (about 200) or collision events (less than 10).